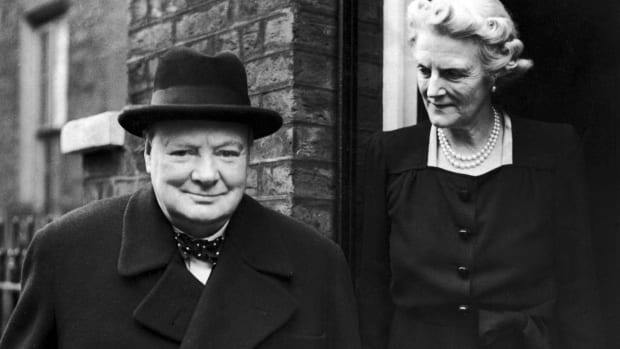 On the anniversary of Churchill’s funeral, look back at the day when Great Britain said farewell to the man who defended the country from the Nazis in World War II. On a pale gray winter morning, Big Ben’s distinctive chimes echoed through the London silence. 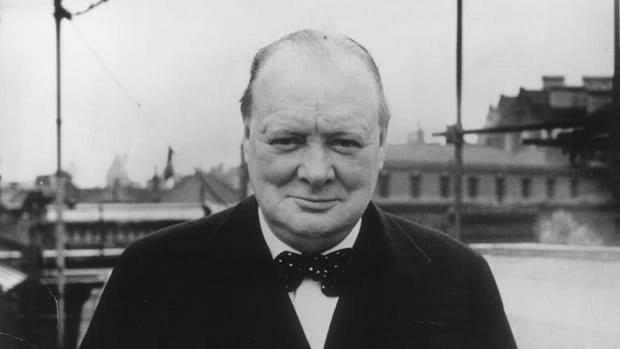 After tolling the time at 9:45 a.m., the British icon would remain uncharacteristically quiet for the rest of the day out of respect for another of the country’s towering figures—Sir Winston Churchill. 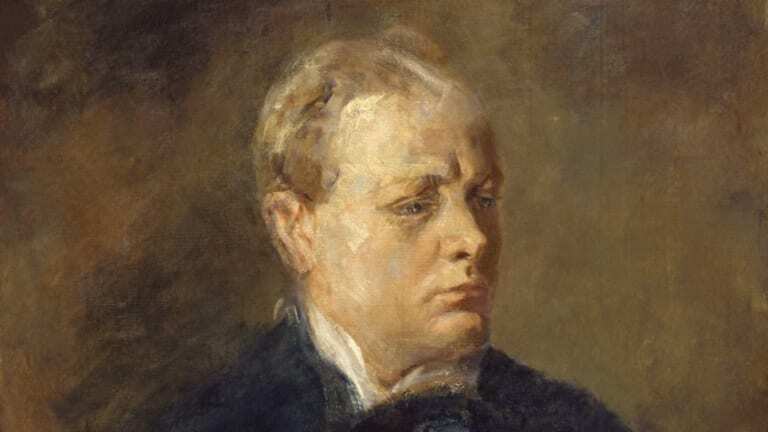 Below the mighty bell, the flag-draped coffin of the wartime prime minister rested on a gun carriage as the biting wind carried the roars of cannons thundering 90 shots, one for each year of Churchill’s life, in nearby Hyde Park. Upon command, a single drum began to beat. Then came the rhythmic pounding of boots upon pavement as more than 100 members of the Royal Navy moved in lockstep as they drew the cortege of the man who had led the country as prime minister through World War II and later from 1951 to 1955. 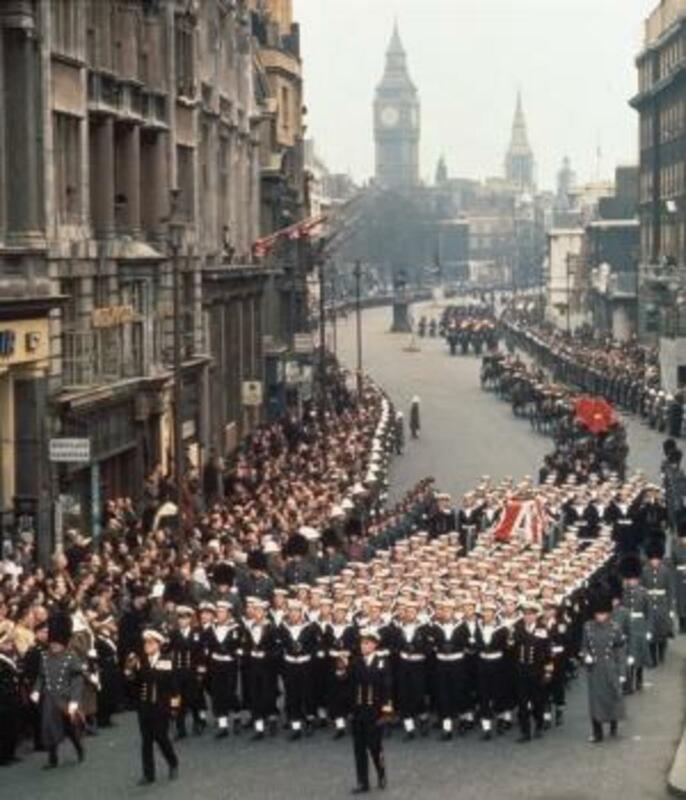 Military bands played dirges and somber marches as Churchill’s body was pulled through the streets of London accompanied by servicemen from nearly 20 different military units. Four majors of the Queen’s Royal Irish Hussars were required just to carry Churchill’s litany of medals, orders and decorations. 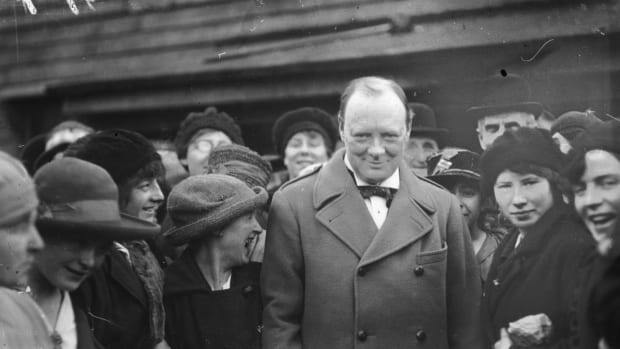 Churchill became the first civilian in the 20th century to receive the honor normally reserved for kings and queens and only the second prime minister to be given a state funeral, William Gladstone being the first in 1898. 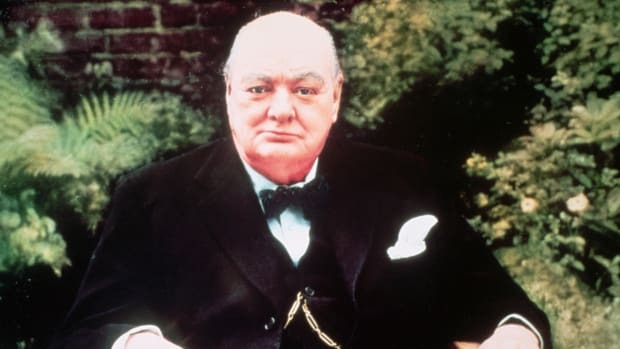 For three days and for three nights, Churchill lay in state in 900-year-old Westminster Hall as more than 300,000 mourners filed past the casket, hewn from English oaks taken from his family estate, in muffled silence. Before dawn on the morning of the funeral, a million people began to gather along the cortege route. They watched in silence as the gun carriage rolled through the British capital and past the offices where Churchill had served as the First Lord of the Admiralty during two world wars, past the Fleet Street newspaper offices where he had once been an ink-stained scribe, past 10 Downing Street where he had guided the country through its darkest hours against the Nazi threat and past Trafalgar Square where Londoners celebrated when news of victory finally arrived in 1945. After an hour, the procession finished its journey from Britain’s political heart to its religious soul, St. Paul’s Cathedral. Much like Churchill himself, St. Paul’s had become a symbol of steely British determination during World War II as it managed to withstand the worst of the Nazi bombing during the Blitz. Such was the country’s admiration for Churchill that Queen Elizabeth II broke with monarchical tradition to attend a funeral for someone outside of the royal family. Even more unusual, the queen gave precedence to one of her subjects and arrived at the cathedral before the former prime minister’s casket. Gathered inside St. Paul’s to celebrate Churchill’s extraordinary life were dignitaries from an unprecedented 112 countries—including six monarchs, six presidents and 16 prime ministers—which made the state funeral the largest in history at that time. In addition to the 3,000 congregating under St. Paul’s dome, an estimated television audience of 350 million people—a tenth of the world’s population—watched the funeral service, which featured some of Churchill’s favorite hymns. 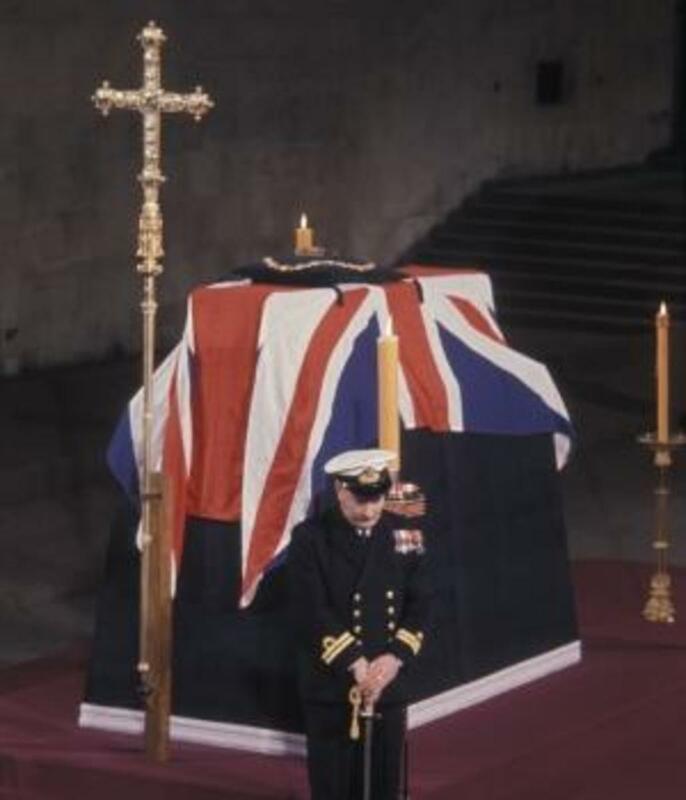 As the mourners sang the “Battle Hymn of the Republic,” a shaft of sunlight broke through the clouds, beamed through the cathedral’s windows and fell on the Union Jack cloaking the casket. Following the service, Churchill’s coffin was carried down the west steps of St. Paul’s and returned to the gun carriage, which continued on to a pier outside the Tower of London where the Royal Artillery fired a 19-gun salute. The funeral procession then took to the water as the casket was carried aboard the launch Havengore for a short sail up the River Thames. In a meticulously orchestrated event that had been choreographed for years, perhaps the day’s best-remembered moment was also an unscripted one. As 16 Royal Air Force fighter jets roared overhead in tight formations, London’s dock workers dipped their cranes lining the south bank of the Thames one by one as if the mammoth machines were bowing their heads to Churchill. 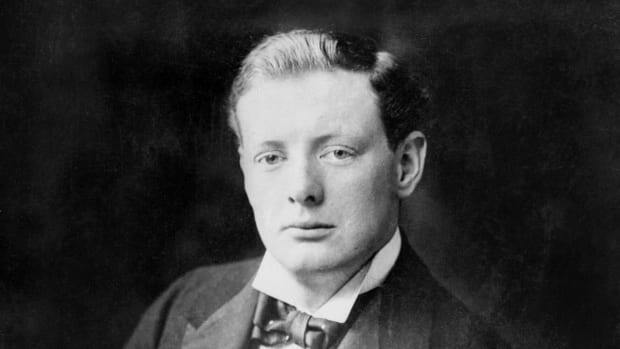 After the Havengore docked upstream, the former prime minister’s casket was taken to Waterloo Station and placed on a specially prepared train with five Pullman coaches filled with family and friends for Churchill’s final journey. As the locomotive chugged along the 60-mile journey to Oxfordshire, mourners with bowed heads and hats over their hearts stood silently on station platforms along with uniformed World War II veterans with arms raised in salute. Not far from Blenheim Palace where he was born 90 years earlier, Churchill’s life came full circle. 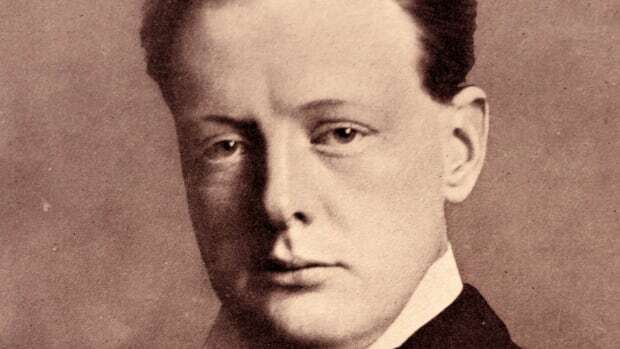 In a private ceremony at a quiet churchyard in the village of Bladon, Churchill’s body was lowered into the small family plot and covered with the soil that he had preserved to be British.